As I described in my Thoughts on 2019 post, convergence is one of the key dynamics I expect/hope to see more of this year. A century ago, a convergence across domains ushered in unprecedented advancements in human development. 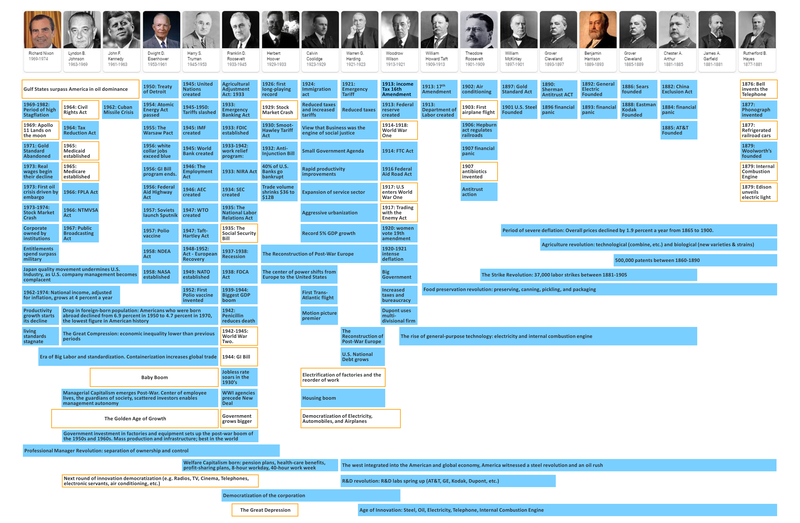 As Robert J. Gordon describes, the special century (1870 – 1970) that followed the Civil War was made possible by a unique clustering of what Mr. Gordon calls the great inventions. The great inventions of the second industrial revolution significantly improved our well-being. In his view, the economic revolution of 1870-1970 was unique in human history, unrepeatable because many of its achievements could only happen once. What makes this century so special, is that these inventions altered what until then, was a life lived in misery. 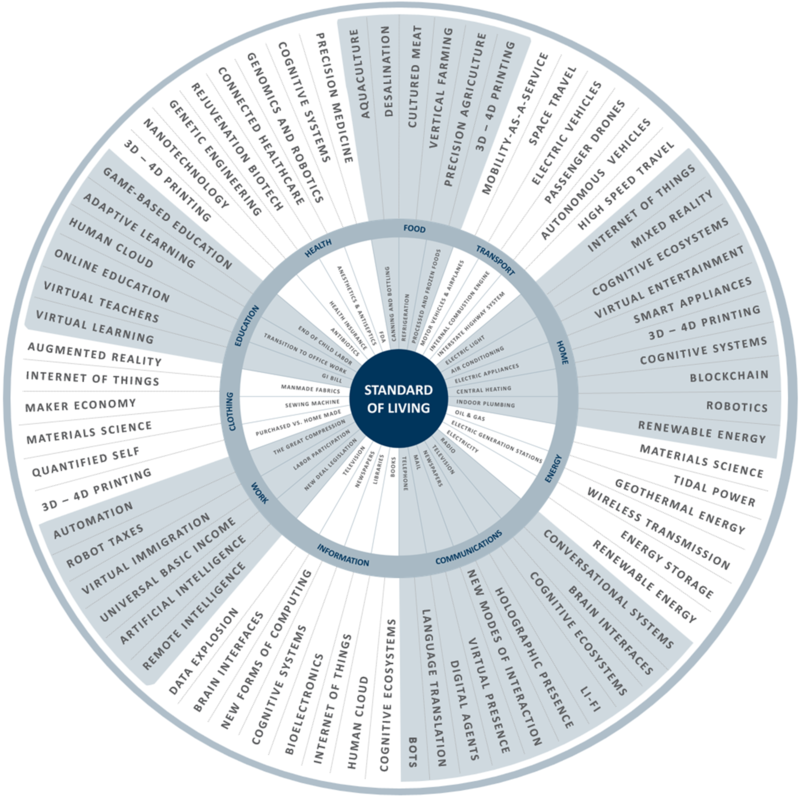 I captured the advancements made during that period using an Innovation Wheel to map them to our areas of well-being (click on visuals in this post to open in a separate window). A look at history is very instructive, as several dynamics from that period have the potential to emerge once again – the biggest being the opportunity for convergence. In this context, convergence refers to a virtuous cycle where events in one domain spur action in another. The great inventions (electricity, telephone, and internal combustion engine) were clustered together at the end of the 19th century, forming a virtuous cycle that drove a period of astounding innovation. This innovation cycle continued well into the 20th century – a dynamic that could be emerging again. Yet, science and technology are simply two domains that converged during the special century. The others were the economy, business, politics, and a broader set of societal issues. What enabled this convergence and created the most dramatic improvement in human development? There were several key catalysts. As we have Learned from History, general purpose technologies have driven massive change. First, fire and language tipped the world from a time of hunting and gathering to one of agriculture. Then, the wheel and writing moved us towards the enlightenment and an age of scientific breakthroughs. With it came another Tipping Point to our current industrial age. The printing press, telegraph, coal, and the steam engine moved us aggressively towards this special century. Right after the Civil War, a series of events conspired to – in the words of Robert J. Gordon – enable achievements that could only happen once. Example of humanity-altering things that can only happen once: the invention of electricity; moving away from the horse-driven mode of transportation to the car; significantly reducing child mortality; and eliminating the communication barriers that existed before the telegraph and telephone. The question Mr. Gordon asks is: having achieved those things and more, can anything we do going forward compare? Can it enable an economic revolution that even closely resembles humanity’s greatest period of prosperity? Those great inventions were not the only catalysts. Other major world events fueled each other in a virtuous cycle that would forever alter our world. The first was World War One, which took place between 1914 and 1918. The war altered the European landscape, began to shift the balance of power to the U.S., and planted the seeds of bigger, more controlling Government. This last point is significant, as we visually explore convergence and what it enabled. The second major catalyst was the Great Depression, which lasted from 1929 to 1939. The unprecedented shock of the Great Depression drove the U.S. government to address the need for national economic statistics – they had been flying blind prior to that. This virtuous cycle created ripple effects that would impact decisions for years to come. Alan Greenspan in his book titled Capitalism in America provides an example of this cycle at work: the car industry reduced its production of cars by two-thirds between 1929 and 1933. That in turn produced a decline in demand for steel, which produced a decline in demand for ore and coal. This decline in production meant a decline in demand for labor, which spread throughout the economy: less construction meant less demand for builders, plumbers, roofers, suppliers of raw materials, etc. The Great Depression is a story unto itself, but the instructive part may lie in the convergence that it played a role in enabling. The third – and perhaps biggest catalyst – was World War Two. The second World War – more than anything else – pulled the U.S. out of the Great depression. As the most expensive war, it consumed an average of 30 percent of the nation’s GDP from 1942 to 1945. Unemployment disappeared and the work force was extended to women. Perhaps most importantly, it forced companies to innovate and boost output as they did their best to contribute to the war effort – the result was the biggest boom in American history: real GDP almost doubled from 1939 to 1944. World War Two and the Government funding that went with it built the foundation for the prosperity of the following decades. The final catalyst for the purposes of this discussion was the democratization of innovation. The great inventions and those that followed would not have been as impactful, if they could not be enjoyed by the masses. Post World War Two, people bought homes, cars, electronic servants, and more, as each of these became affordable. Here is another dynamic that could/should emerge as we look towards the future and the potential for unequal sharing of emerging innovation. As we dig deeper into each of these catalysts, we can understand how they drove convergence. The Great Depression and World War Two directly contributed to what Robert J. Gordon calls the Great Leap. This helps us understand the nature of catalysts: had there been no Great Depression – there would likely have been no New Deal. A visual representation helps us appreciate the impact of convergence – and the role it played in creating this special century. Look at this representative sample of the major actions, events, and activities that are clustered between an age of astounding innovation and 1970 – the end of the special century. Without the catalysts described above, much of this (good, bad, or indifferent) may never have happened. We can therefore attribute the realization of great advancements in human development during this period to these catalysts and the convergence they enabled. Would we have arrived here anyway? Does it take major events like wars and depressions to stimulate society to act? If so, what does that mean for our future. This journey through history, although interesting, has a greater purpose. Are there similarities between that late 19th century early 20th century period and today? Clearly, we are on the threshold of what could be the next great inventions. Artificial Intelligence is already being called a general- purpose technology that is comparable to electricity. All indications point to another likely period of astounding innovation – but much like the special century, are there other catalysts that drive convergence? This time, it may be more complex as we add several other domains to the convergence discussion. If we accept that the next two decades are likely to experience astounding levels of innovation, then this period requires actions and decisions that help shape our future. Convergence will be required across the same domains experienced years ago: science, technology, economy, business, politics, and society. Add to this list ethics and the environment. The challenge then is to manage a more complex level of global convergence in order to create a future that once again elevates our well-being – and this time on a global scale. Built on the historical view of innovation, this second innovation wheel takes a futuristic perspective. 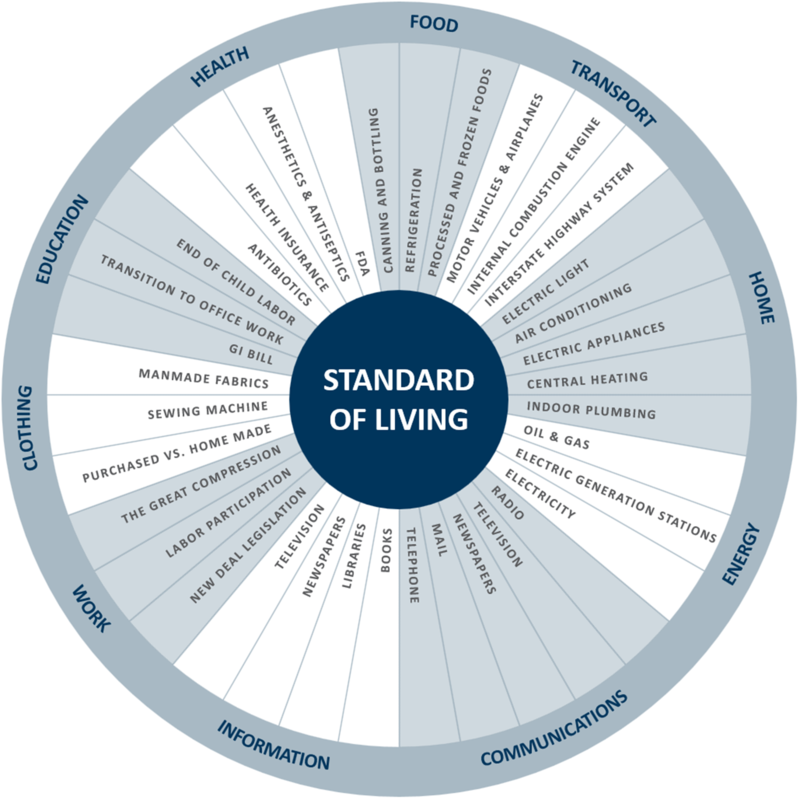 Can we realize improvements across these areas of our well-being by harnessing advancements in science and technology? If we do, is Robert J. Gordon right when he says it won’t compare to those humanity-altering achievements during that special century? Will the appropriate level of convergence emerge as the enabler? Will we experience a level of innovation democratization that mitigates the risk of inequality and societal unrest? We saw how important that was during the special century. Those catalysts referenced before were painful ways to stimulate action in a reactive manner. Are there catalysts that drive future action proactively? If so, what are they? Is it the pace of innovation and an appreciation for the unintended consequences it might create? Is it climate change? Geopolitical instability? An innovation arms race? I’d love to hear your thoughts on the potential catalysts of convergence. In the meantime, history may be quite instructive. Inaction during the great depression amplified its impact. 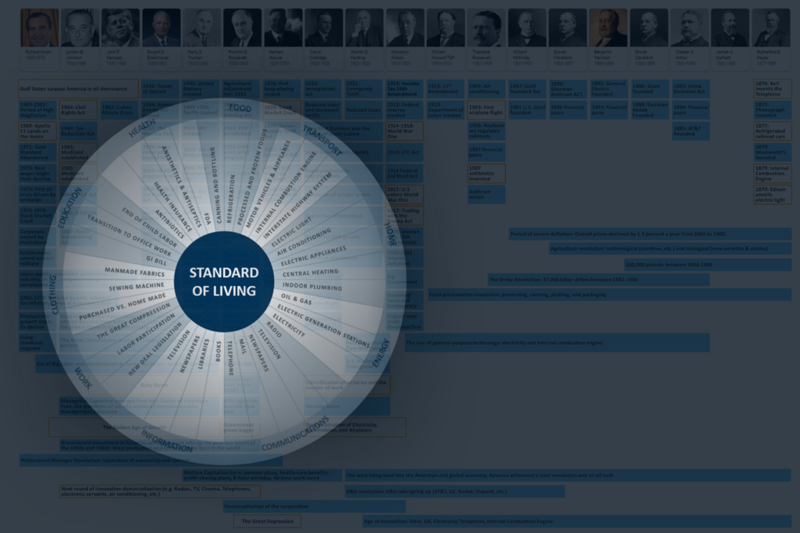 Look at the cluster of actions, events, and activities required to steer the developed world towards improved prosperity. 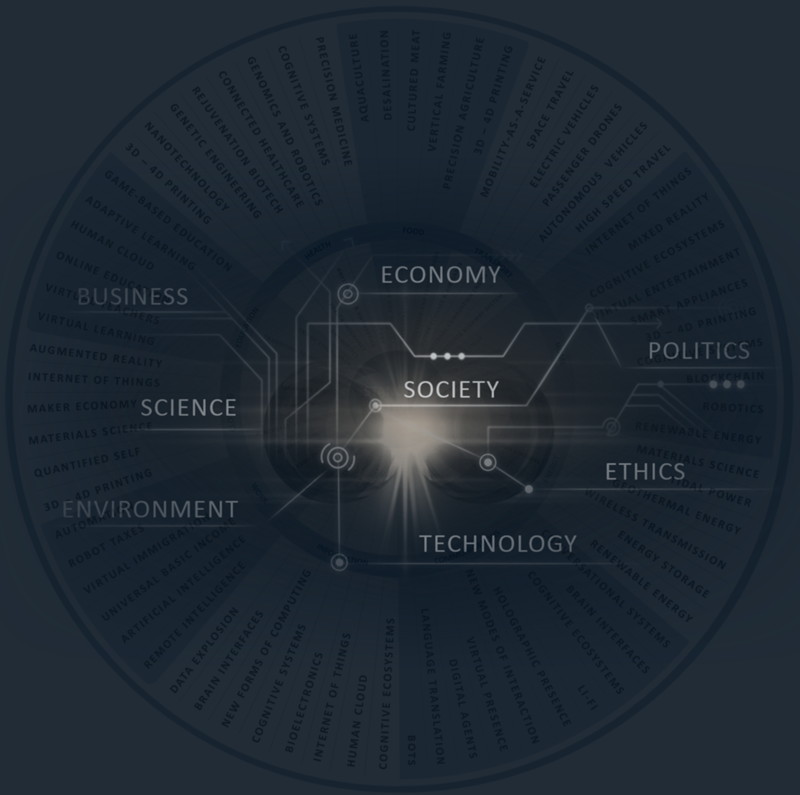 This emerging tipping point requires nothing less if we are to realize a global advancement in human development that seems within our reach.